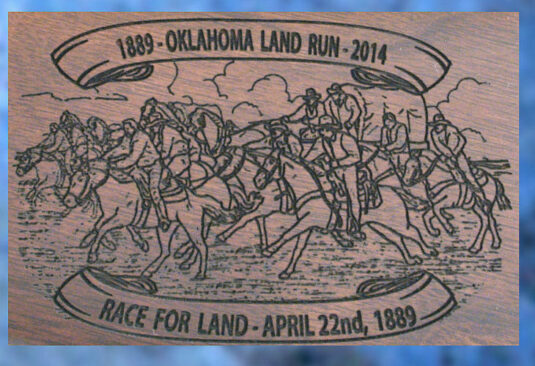 Oklahoma Land Run 125th Anniversary - Wellington LTD. The Oklahoma Land Run 125th Anniversary Special Edition is a Collector’s Grade Henry Big Boy .45LC rifle. The engraved artwork is set on the 24-carat gold plated and defined with jewelry-grade nickel, making it a beautiful canvas for this work of art. Images on both sides of the receiver, forearm guards, and stock pay tribute to, among others, Arizona’s State Capitol, Butterfield Overland Mail Coach and Capt. Bucky O’Neill, all taken from Arizona’s colorful past! This family heirloom is a tribute to the history and people of the State of Arizona. The Oklahoma Land Run 125th Anniversary Special Edition Henry .45LC is for those collectors who cherish both our history and beautiful art.